Capricorn Dec. 22nd - Jan 19th Hello Capricorn! This week there should be success and victory in any competition or competitive environment with which you are involved. The Divine is guiding you to fight for what you believe in. You may find a renewed sense of motivation and will power. Draw on this great strength to carry you through the week and what it may bring, particularly when it comes to matters of personal relationships, including the relationship you have with yourself. Keep your personal goals in mind, as you may find your dedication to achieving them to be strengthening. If you have been experiencing a period of instability, Spirit is letting you know that organization and order will be restored, particularly with any disputes or legal matters you may have. Aquarius Jan 20th – Feb 18th Hello Aquarius! This week you will find your spiritual awareness to be heightened. Trust in your inner guidance to give you clear vision when making decisions and choosing the right path to follow. You will be entering a phase of great energy and optimism. This renewed energy is likely to help you to keep your focus on the goals you hope to achieve, filtering out any person or influence that is not for your highest good. Keep your eye on the prize and efforts high as you experience this resurgence of positivity and progress. Success is likely yours this week. Spirit is letting you know that you may feel a more positive upswing in your personal health this week as well. Pisces Feb 19th – Mar 20th Hello Pisces! This week the Divine is telling you that you will find freedom and independence through releasing ideas or even yourself from those things that keep you stuck. If you are living in a closed world, Spirit is guiding you to open up more. Honor your roots and family, but do not get too tied to family or the past. In times of stress it is ok, turn to the family traditions that have become hallowed and which you find comforting. Consider exploring opportunities to become part of a group of like-minded individuals that make you feel safe and useful. This could help you avoid getting too dependent on family or stuck in the past. Aries Mar 21st – Apr 19th Hello Aries! This week the Divine wants you to know that you have the inner power to face any challenge, and you have the authority to claim your destiny and control your life. Spirit is guiding you to fear nothing and let no other person distract you from your path and goals. Be prepared to make some sacrifices in order to make progress in life. While the sacrifices may be painful, take this a time from which to learn. Know that the things you may be forced to endure will pave the way for good things in the future. Taurus Apr 20th – May 20th Hello Taurus! This week things appear to be at a standstill and this is not the time to force movement. Patience and wisdom is called for. It may be necessary to stop, take measure and look around in order to further assess a situation, rather than charge forward without direction. The Divine is guiding you not to abandon goals, but use this dormant time as an opportunity to reaffirm them. This is a time for contemplation and preparation, not despondency or regrets. Use self-reflection and meditation to seek inner calmness needed at this time. In regards to your relationships, do not take anyone for granted. Find the courage to express and show your feelings. Gemini May 21st – Jun 20th Hello Gemini! This week Spirit is guiding you to let go of the past in order to achieve forward progress. Facing your fears over letting go is necessary. Frequently it is a fear of destruction and loss that prevents future growth. However, this is necessary in order for positive change to occur. You may experience a necessary setback or obstacle which you will likely work through quickly. Do not allow this setback time to bring you down. Instead use the time to refocus your energy so that history won’t repeat itself. Be on the lookout for an opportunity in which to better yourself to cross your path. Cancer Jun 21st – Jul 22nd Hello Cancer! This week you may be feeling that you have no control over situations in your life. The Divine is letting you know that for the present moment fate is in control of your destiny. So instead of getting stressed over what you are not able to control, be flexible and go with the flow this week. Know that the little decisions you are making moment to moment are setting up energetic patterns for your future. So keep positive and your energy focused on forward progress both personally and professionally. If destiny is not favoring you this week, know that you are setting up your future for this to change. Leo Jul 23rd – Aug 22nd Hello Leo! This week is a time for you to use rational thought and a practical mind. There may be a problem that has been blown out of proportion and this may cause you to feel like giving up. Instead, the Divine is guiding you to step back and take time to assess your attitude toward others and theirs toward you. Reflect on your own behavior before criticizing that of others. This personal reflection will help you decipher the best way to proceed. You must consider motives and behaviors of others and consider the probable drawbacks of putting yourself under too much obligation. While this will be a good time for implementing plans and constructive activity, thought, consideration, and analysis of facts will be needed first. Welcome any practical help or good advice at this time. Virgo Aug 23rd- Sep 22nd Hello Virgo! This week the Divine is stepping in to let you know that your patience has paid off and that waiting period you may have felt stuck in is coming to an end. New pathways should be opening and positive changes are at your door leaving dark days behind you. You may feel as if possibilities are everywhere, particularly with business and also with romantic relationships. Spirit is guiding you to use judgment is deciding which opportunity is for your highest good. In other words, think before you take action. 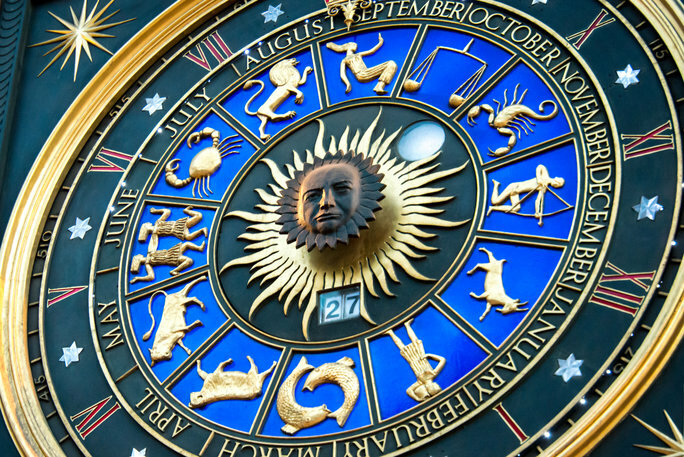 Libra Sep 23rd – Oct 22nd Hello Libra! This week will likely be filled with joy and happiness and the feeling of things finally coming together. If you have been working on growth and learning in one area of your life, know that this will possibly be giving you a positive result, one that will bring joy to your heart. Spirit is letting you know that you may experience new clarity and inner wisdom. This would be a good time to review your plans and goals to make sure they are in alignment with one another. Enjoy the success you will likely experience this week. Scorpio Oct 23rd – Nov 21st Hello Scorpio! This week the Divine is letting you know that you have your sights on a reasonable target and that you can achieve your goals. Although minor delays and obstacles may be possible, they are likely not to cause too much trouble. As long as you are flexible and able to work with change, you will have the ability to turn any situation to your advantage. You are at a time of spiritual rebirth, so practice patience as you work to achieve the necessary change in consciousness. Do not expect this to happen quickly, remember spiritual enlightenment is also about the journey. Sagittarius Nov 22nd – Dec 21st Hello Sagittarius! This week you may find yourself feeling restricted and facing great challenges and possible hardships. Hard work and dedication as well as maintaining emotional stability will help you weather this period of time. The feeling of great responsibility may, at times, become overwhelming, so Spirit is asking you to take the help that is being offered to you. Assistance could come from older relatives and friends who have stood by you through dark times. Draw upon your inner resources and strengths. Determination and self-reliance can lead to change, but Spirit is also saying that your luck will change for the better in the near future. A fortunate new influence may be entering your life at this time.